The roof of Alan Gallery was transformed into a playful landscape a top the city. Islands of brightly colored plastic and colorful pattern carpets in the shape of birds created spaces for lounging and taking in the view. The playful roof terrace provided the public social space for the Istanbul version of Paradise Ready Made revisited. Paradise Ready Made revisited serves as a catalyst for a shared community experience. 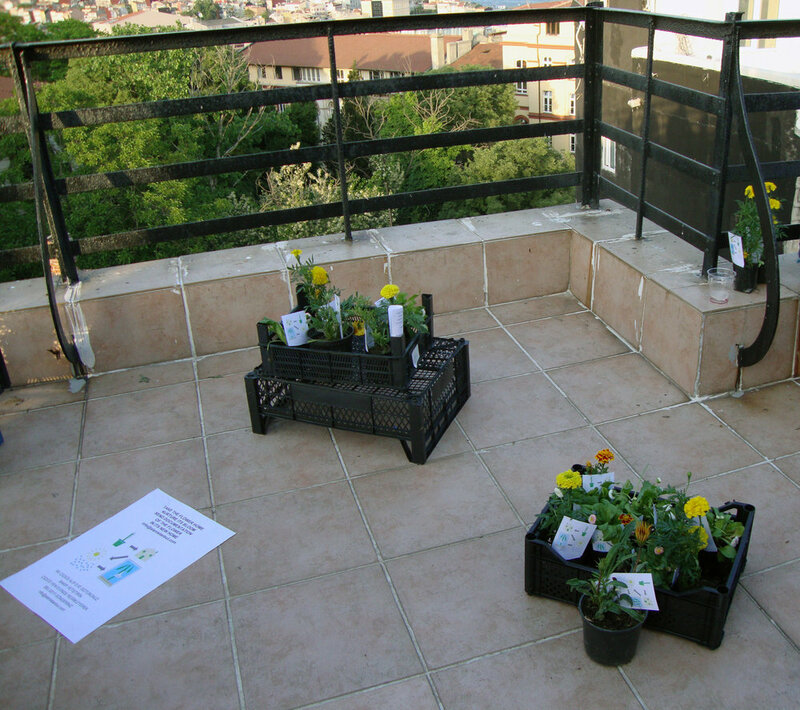 Like other versions of the project Istanbul, Paradise Ready Made revisited is a participatory artwork that becomes whole only through the participation of the audience spreading out across the city of Istanbul like a field of wildflowers. 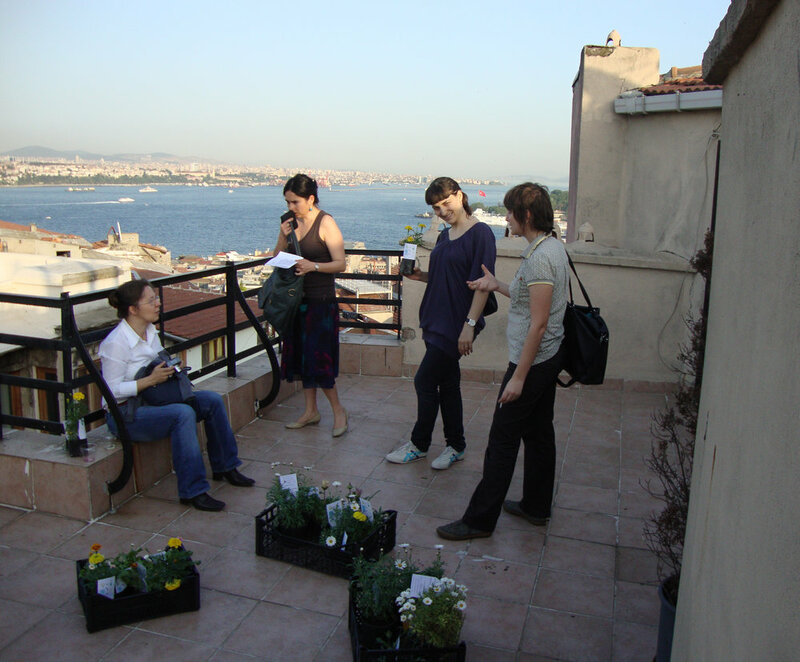 Guests to the rooftop are presented with a flowering plant to take home, asked to nurture its bloom, and to share documentation of the plants growth over the summer months via the web.